Venture capitalists are expected to recognize a good idea when they see one, but what if they can’t even see a foot in front of them? This was the scene this week at a startup competition in Jaffa meant to address bias and pre-conceived notions in the high-tech industry. The contest, “Pitch in the Dark,” took place in complete darkness on Monday with entrepreneurs and VCs in the financial tech sector fumbling around and knocking into chairs and tables as they attempted to present and listen to possibly life-changing ideas. Israel hosts dozens of high-tech conferences every year, ranging from three-day events that welcome business and government leaders from across the world – and are expertly produced – to smaller, more intimate industry gatherings. A majority of these conferences host startup competitions to generate interest, provide exposure to budding entrepreneurs, and recognize outstanding ideas, and they generally follow a known formula: the selected startups are given a few minutes each to pitch at the beginning of the event, creating a buzz among attendees, venture capitalists, and judges, the conference drones on, and the winners are announced at the very end, nabbing a prize and future opportunities. 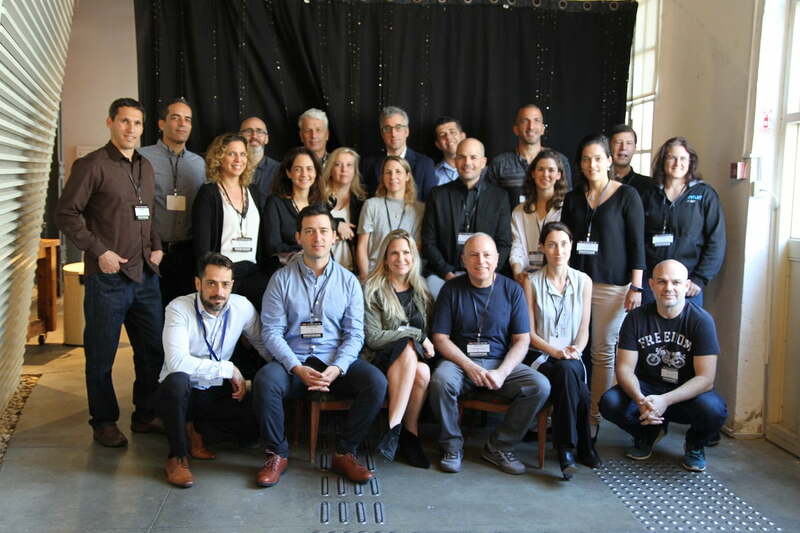 “Pitch in the Dark” was a completely different experience, gathering 21 participating startups with VCs and executives from the Israeli fintech ecosystem at the Nalaga’at (“Please Touch”) Center at the Jaffa port. 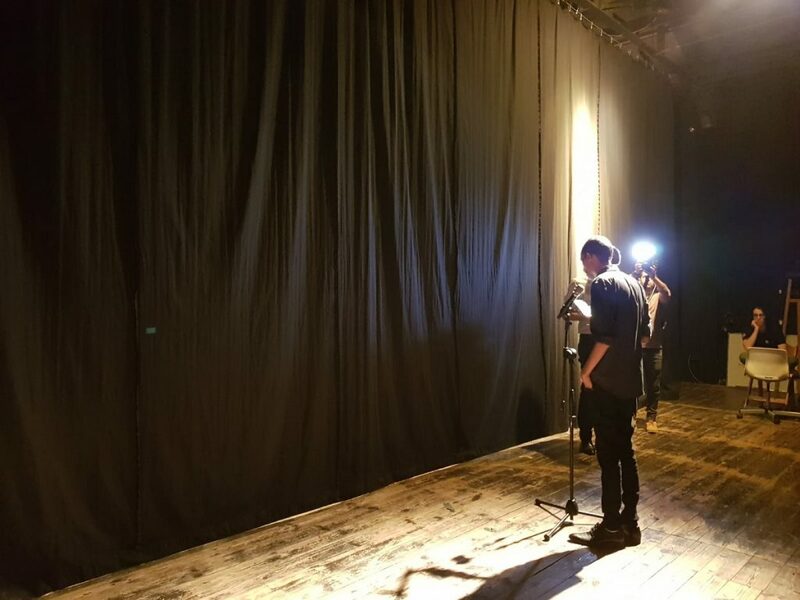 The center is a unique venue founded by artists with visual and hearing disabilities which now operates a theater for the performing arts and a restaurant that employs mainly disabled waitstaff. The restaurant, called “Blackout,” is true to its name and functions in a pitch black atmosphere meant to trigger the non-visual senses. With the tagline “no bias, no prejudice, just technology,” the competition was a not-so-subtle acknowledgment of Israel’s relatively non-diverse high-tech ecosystem, made up mainly of men with an Israeli military background, with comparatively little female representation and an even lower rate of Arab representation, especially in leadership positions. The message behind the event, says Sagit Lampert, the public affairs officer at Citi in Israel, was a nudge to “go more for diversity, not just 8200,” she tells NoCamels in reference to the elite military unit whose veterans are ubiquitous in the startup scene. The limitations are obvious – judges can, after all, pick up on female-sounding and male-sounding voices, as well as those with accented speech – but the idea is a step in the right direction, says Lampert, and the organizers expect to pick it up again next year. It was the first event of its kind in Israel, she adds, and possibly the world. Citi partnered with Visa, Intuit, and Israel’s Discount Bank for the competition, aimed at tapping into early-stage or pre-growth startups with innovative fintech ideas. Judges, which included the head of the Citi accelerator and the head of the Visa Innovation Studio in Tel Aviv among other leaders in the sector, were pre-seated at a number of tables at “Blackout” while startup founders made the rounds with their pitches during the first round. Lively discussions were then conducted and final decisions were made in total darkness. The entrepreneurs said the experience felt very positive and was an eye-opener, so to speak. Stripped of visual presentations, use of body language and non-verbal cues and responses, they had to rely on inner instinct more than anything else. “It was an amazing experience, where I had to bring only myself and could use nothing else but my voice,” says Tamar Bitton, the chief marketing officer of AI startup Atoz Labs, one of the participating companies. She enjoyed the experience but doesn’t see it as a long-term solution to any lack of diversity. After all, “people want to invest in people,” she says. “Israel is at the forefront of high-tech, and because of these strengths, we must go beyond our comfort zones and find new ways forward,” he said. Corney spoke ahead of the event’s last round, where seven finalist startups made their second round of pitches, this time from behind curtains, but to a well-lit room where audience members could see each other. The effect was similar, with those presenting relying on their verbal confidence and the strength of their ideas to carry their pitches. In the end, the winning startup was Avenews-GT, an agricultural tech startup founded just that year that developed a blockchain-powered digital platform that integrates agri-trade management tools and streamlines transaction processes for sellers and buyers of agricultural products. Kharoub tells NoCamels that Pitch in the Dark was a “refreshing experience” that kept the emphasis on stories, ideas and technology. Kharoub says it is not lost on him that the “story” behind Avenews-GT is compelling and memorable. “You have a kibbutznik [from a kibbutz], a moshavnik [from a moshav] and an Arab from Jaffa, it has its advantages,” he laughs.